Happy Sunday guys! I did say this would be up yesterday, but it snowed up here in Manchester for the first time in ages, so I got a little distracted! Just a quick outfit post today, as I also have to write a post on the Liebster Award, which I was very kindly nominated for (all will be explained later!). On to the look. This wasn't a planned bogged look. I do normally think about how the clothes will look on camera, and I have a bit of a vision. This look was a happy accident! I was popping out for a meal with the hubby and wanted to stay comfortable (baggy jeans, more room for food!) but also smart. Pairing the jeans with heels, instantly gave it more of a sophisticated vibe, I then threw on the blazer and voila! 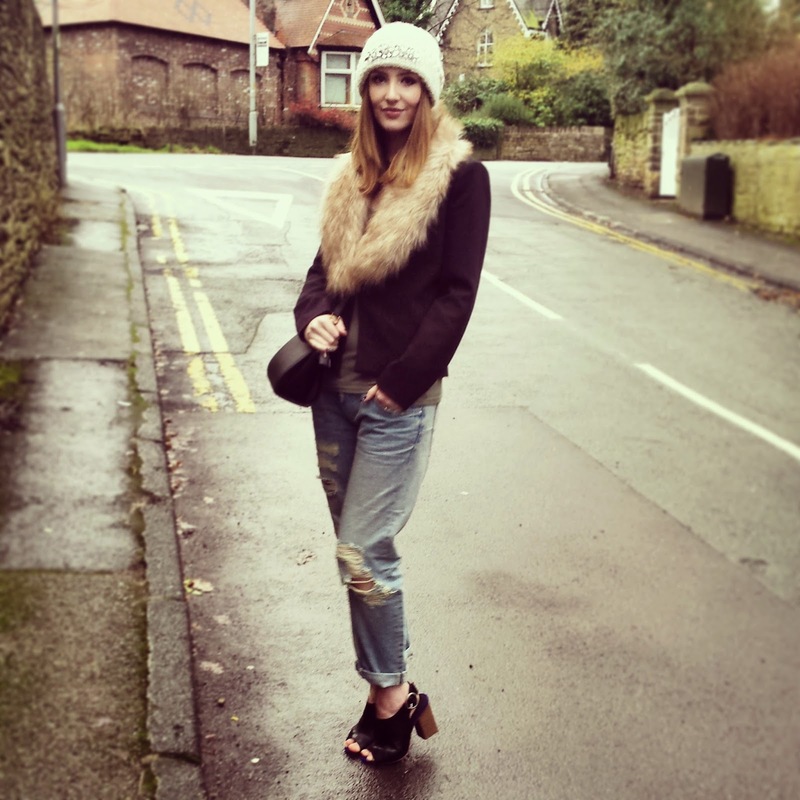 The fur collar is back, as I've said before, it really does transform any jacket/coat! My Michael Kors baby was out again, and I finished the look with my jewelled beanie. It's been one of the most 'liked' looks on my Instagram, and I'm pretty happy with the overall look. Have a great Sunday guys (I'm planning on staying in my PJs) and stayed tuned for my Liebster post. Oooh I love this outfit SO much!! Those shoes are gorgeous too :) Haha, baggy jeans = more food, I love it! !